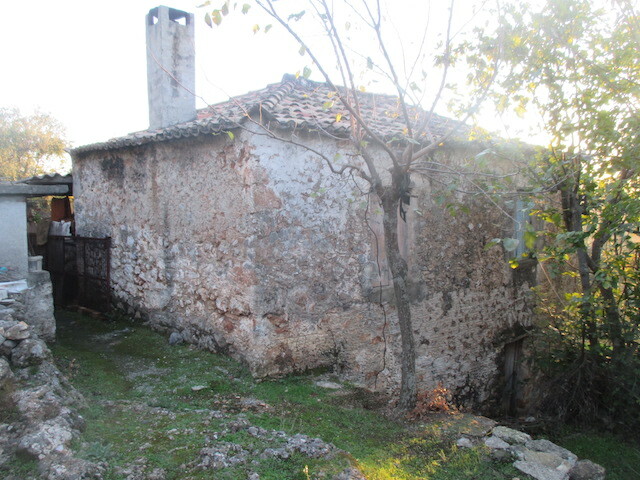 And thus on the final evening in Greece, Joshua and I set off on the walk up to the house of Charon my closest, in fact I think, only neighbour for several miles. The walk is uphill all the way for Charon lives on the next hill up from the hovel towards the Taygetos mountains. But the track, as you would imagine, winds and bends. Initially it is stone or concrete but after a while, as is the case in the last 800 yards before the hovel itself, the way forward is earthen. But cars only very rarely venture up here. For most of the time I have known Charon he has been without a motor and I have thus driven him to the village by car or on the back of a bike many times. 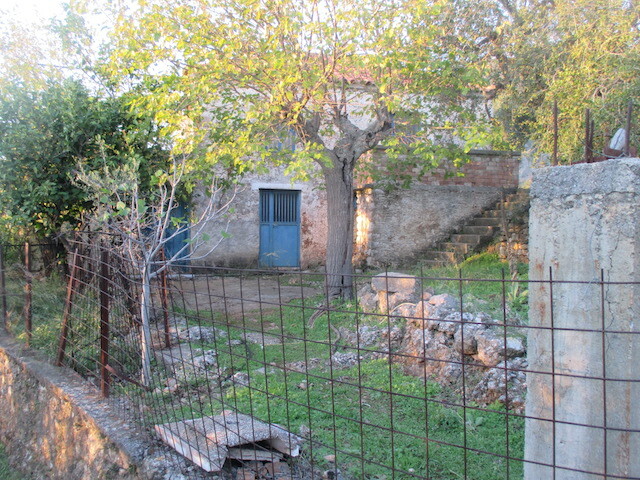 And so, sheltered by olive trees, the track turned to thick green grass eventually ending up at two houses. I think, judging by the underpants on the washing line, he lives at the one in the first photo. He is, as it happens an accomplished musician and also a DJ and sometimes you can hear his music blaring out in an otherwise silent evening. As it happens he was not at home and so, with the sun starting to set, Joshua and I beat a retreat.